In this section I'll feature the healthy ways for how to start raw food diet eating plan. Learn how to start eating raw food diet to lose weight, detox and cleanse using our fast recipes and tips for how to transition to becoming a 'raw foodie'. I personally have been moving from a seasonal (Summer) raw food plan to becoming a permanent part-time raw foodie. There is no doubt that I am healthier for it, and it is a simple and delicious way to manage your weight as well. My preferred raw food eating plan is the 80-10-10 and that is where I began. But over the past couple of years experimenting I have come to my own conclusions about what works for me and my lifestyle, and my menu tastes. I'm fully detailing them in my new book "The Raw Food Diet Made Simple: Transitioning to a Raw Food Plan for Better Health, Vibrant Energy, and Weight Loss" that is published on Amazon. Below here I have outlined the key points in how to start raw food diet as a nutrition plan that will help to improve your health and also help you to lose weight if you need to. Without any effort at all I lost 9kilos (about 16 pounds) in 6 weeks and haven't put them back on. There are a few things to take into consideration when deciding if or how you want to begin going raw, so I've covered the most important ones here. For more detailed information you will need to get the book, as I obviously can't cover all that information on this page! If you’ve been thinking about changing your diet for optimum health and nutrition, the raw food diet is a natural and easy way to change your life for the better. Thinking about eating only raw food may seem overwhelming, but it can be simple. When you’re considering making a big lifestyle change, it’s important that you learn all you can about it. It’s important to understand the benefits of eating this healthful diet and what it means to be “raw”. Knowledge is power and the more you know the easier it will be to transition from eating a typical cooked diet to one that’s raw. You’ll want to study a guide that explains the benefits and challenges in detail. You’ll also want to make sure you understand what foods are going to be in season and how to create a menu plan that you can really live with – even if you have a very busy schedule. My book was written about my process, as I chose to take a part raw and part cooked seasonal diet approach to transitioning to a raw food diet. When adopting a new lifestyle, it always helps to learn from the experiences of others who have walked the same path. It’s a good idea to talk to someone who has tried the raw food diet and stuck with it. As questions about how they made the transition, what was the greatest challenge, how they feel now, and what advice they can give you. Learning from others’ mistakes and successes can help you to have a better experience. If you don’t know anyone personally who is enjoying the raw food lifestyle, you can still learn from other people. The internet makes it easy to find message boards and forums for people living this lifestyle. A quick online search will reveal many different websites where you can ask questions and discuss the raw food diet. You can also find many blogs by people who are sharing their tips and experiences on the raw food journey. Don’t be afraid to send emails and comment on blogs to ask questions and find out more. The more information you have, the easier it will be to make the necessary changes to your lifestyle. You can expect that making a big change in your diet can be challenging, so it’s always helpful to learn how other people overcame those challenges. The raw food diet has many health benefits and the more you connect with your reasons for making this change, the easier the transition will be for you. There are many good reasons to choose a raw food diet. Much of the food we eat is filled with toxins. By focusing on eating raw, organic foods the way that nature made them you’ll begin to eliminate those toxins from your life. Your body will be able to break free from toxins that are causing you to feel sluggish and can cause disease. At first you may actually feel a little ill as the toxins leave your liver, enter your bloodstream, and are flushed out by your kidneys. But this only last a few days and then you begin to benefit from your toxin-free system. In this busy day and age, who doesn’t want to have more energy? 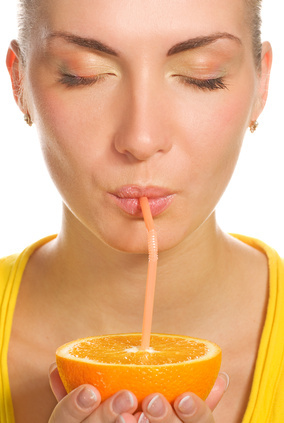 By switching to a raw food diet you can increase your energy levels immensely. You’ll be delivering high quality nutrients to your cells that allows them to do their jobs better. You’ll be eliminating refined carbohydrates, artificial preservatives, artificial sweeteners, and other chemicals that can cause you to feel run down and zap your energy levels. And because you’re not destroying the enzymes in the food you eat by cooking them, you’ll also get more benefits from the food you eat. It will actually be able to work inside your body for your wellness. Much of the weight gain that people experience is due to the poor quality of their diet. It’s not necessarily that you’re eating too many calories, but you may be eating too many toxins. When your liver has to process toxins, one way it protects you from them is to store them in a place they can’t hurt you. The preferred storage is in fat cells. When you begin to eliminate toxins, you eliminate the needs for excess fat cells to be used as storage devices. After you switch to a raw food lifestyle, you’ll find that your weight starts to drop – even though you’re eating a lot of food and never go hungry. The raw food diet delivers a huge quantity of antioxidants and anti-inflammatories through the natural foods you’ll be eating. That means you’ll have a reduced risk of many illnesses including heart disease, cancer, and auto-immune disorders. You’ll also be eating less saturated fat and more healthy fat which protects your heart and brain. You’ll prevent heart disease and stroke as well as dementia and Alzheimer’s disease. If you are currently dealing with chronic illness such as type II diabetes or chronic fatigue syndrome, the raw food lifestyle can help to reduce your symptoms and even reverse the illness. Once you know the basics of how to get started and what foods you’ll need to eat, it’s time to stock up on the supplies you need. You’ll want to make sure that you have plenty of raw foods including fruits, vegetables, oils, and nuts. Almost any fruit or vegetable can be a superfood, but there are some that research has proven to be particularly beneficial for your body when it comes to disease prevention and wellness. Healthy oils are essential for the cells of your body. If you’re worried about consuming too much fat, you should know that the fat in healthy oils is actually good for you and can help you to lose weight and protect your heart. Healthy oils include olive oil, coconut oil, and flaxseed oil. These oils can be used in different ways as part of the raw food diet to help you get the most out of your nutrition plan. Many fruits have antioxidants that protect you from disease. But some have more than others. Some important fruits you’ll want to consider include blueberries, oranges, red grapes, apples, coconut and pomegranate. These all deliver different nutrients that the body uses to protect you from toxins, the stress in your life, and slow down the aging process. 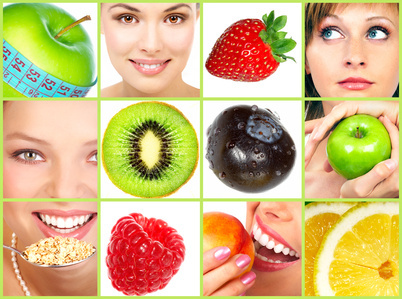 Fruits are going to make up a large percentage of your raw food diet. Most vegetables also offer you important nutrients that help you to stave off disease and feel your best. Some of the most important vegetables are leafy greens such as kale and spinach that are rich in vitamins and antioxidants. They can also be eaten easily in salads or smoothies. Garlic is also a powerful tool in your pursuit to be healthy and disease free. You may also want to add broccoli to your raw food plan because of its health benefits. This is by no means a comprehensive list as there are many vegetables that deliver powerful results. While you won’t be cooking foods on the raw food diet, you can still enjoy whole grains by soaking them or sprouting them. Some examples include quinoa, oats, and barley. These provide you with important fiber and provide you with many vitamins. Nuts and seeds can be eaten by the handful to help you get healthy fats and fiber. You can eat them ground, whole, or even sprouted in order to get their benefits. The best nuts and seeds include raw walnuts, almonds, and flaxseeds. Everyone has different needs and desires when it comes to nutritional changes. You’ll want to decide how you will make the switch to raw foods. For example, some people begin by cutting out meat for a while. Once they’re comfortable with vegetarian life, they might begin to cut out dairy products. Because most dairy products are pasteurized they’re not part of a raw food diet. However, if you have a source for raw milk you may choose to continue to have dairy products. 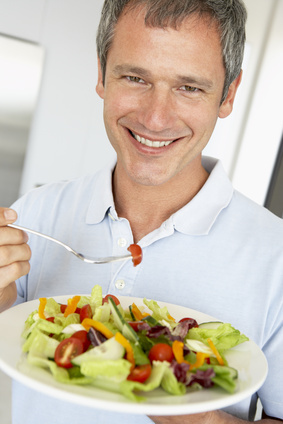 Finally, after living a vegan lifestyle a person may make the transition to eating raw foods rather than cooking them. You can start with one raw meal each day and gradually increase it. Or you may just decide to go all raw all day. While some people like to ease into the raw food diet, others prefer to just flip the switch and go raw all at once. This can be challenging, but if you’re the kind of person who just likes to make a decision and go with it, this might be the best way for you. It might be a bit of a shock to your system, however you need to do what works best for you. Regardless of how you make your transition, it helps to plan ahead. Having a menu plan with recipes you’ll use and foods you’ll eat can help you to stay on track. Instead of having to make last minute decisions, you’ll know exactly what you’ll need to eat each day. You can plan for a week, 2 weeks, a month, or even longer. But having a plan in place will help to insure our success. And it will make it easier to incorporate the raw food diet into a busy lifestyle when you have a plan. There’s no one right way to follow a raw food diet. You need to determine what will work best for you. 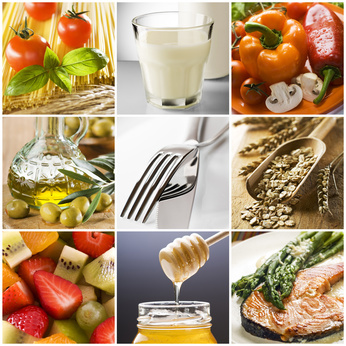 Here are a few different ways people choose to incorporate a raw food lifestyle. You’ll need to decide for yourself where your commitment lies. Choosing raw food doesn’t have to be an all or nothing decision. You can make it work for your preferences and lifestyle. Some people choose raw foods as a short-term detox. You might switch to raw foods for a few weeks each year to help clean out your system and give your liver a boost. For detox purposes, you’ll want to stick it out for at least a month to get through the detox stage and start feeling the health benefits. Often people choose to eat a raw food diet during spring and summer months when produce is plentiful and inexpensive. This also happens to be the time when fruits and vegetables taste their best. That’s not to say you can’t eat a raw food diet all year long successfully. But you may decide that giving your body raw foods for at least a season or two is sufficient for you. In the fall and winter you may want to have some cooked foods while still incorporating a good deal of fruits and vegetables. You may decide that you love the way you feel so much that you want to live the raw food lifestyle every day of the year. That will mean that you need to understand more about seasonal fruits and vegetables and some tips for getting through the cold winter months. But this choice will ultimately bring you the best benefits from the raw food diet. You’ll get rid of toxins and keep them away. You’ll also enjoy healthy digestion all year round and manage or prevent disease. You may decide that you want to eat a mostly raw diet. That means that most of the food you eat is raw food, but you don’t mind having an occasional dairy product, meat, or other cooked food. You’ll still benefit from making most of your diet raw plant foods. And this may be a better solution for if you’re just not ready to give up all cooked foods. The raw food diet doesn’t have to be complicated. You can eat raw foods simply and easily and make the plan work for you. Are you confused by the term 'Raw Food'? This new book discusses just what eating Raw Food really means and shows you in an easy to understand way how you can incorporate this style of eating into your lifestyle. Helene has based this book on her personal experiences with transitioning into a delicious raw food diet, first on a seasonal cycle and now a permanent part time basis. The diet was first tested by her in 2010 for health improvements including reducing the effects of ill-health from inflammation. The book details the benefits that a raw food diet has in fighting inflammation in your body. The raw food diet has also proven to be a very effective way to manage weight, to trim down and to improve overall lifetime fitness. 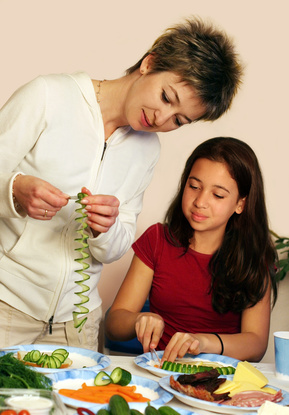 What is a Spiralizer and What are the Benefits of Spiralizing? Raw Food Diet Weight Loss Now! 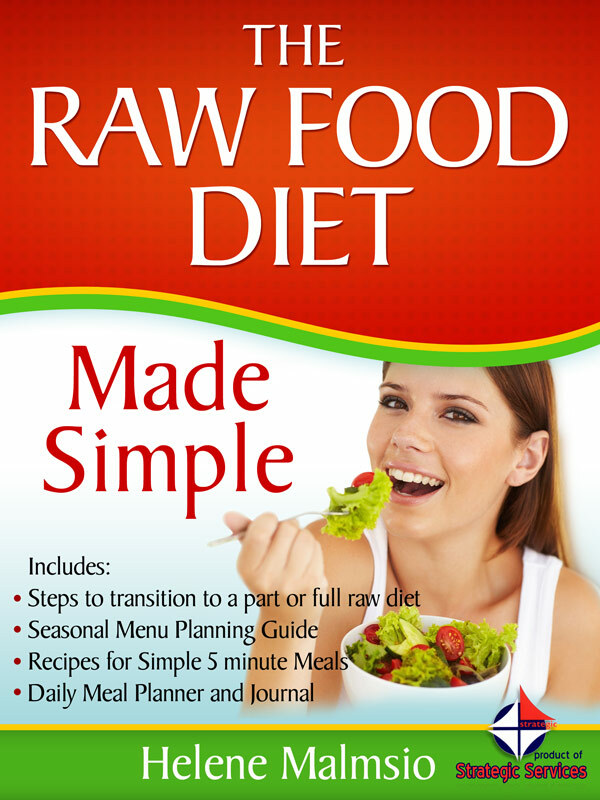 What Is Raw Food Diet – And How Can I Benefit From It? Jan 19 2014 - I'm Doing My Summer Raw Food Diet Again - Are You? What Causes Inflammation in the Body? Moms Are You Ready for the Beach Yet? This section about how to start raw food diet plan for health or weight loss is only one of the many guides available on the site. Visit the Home Page to view more, or check the NavBar on the left side of this page.